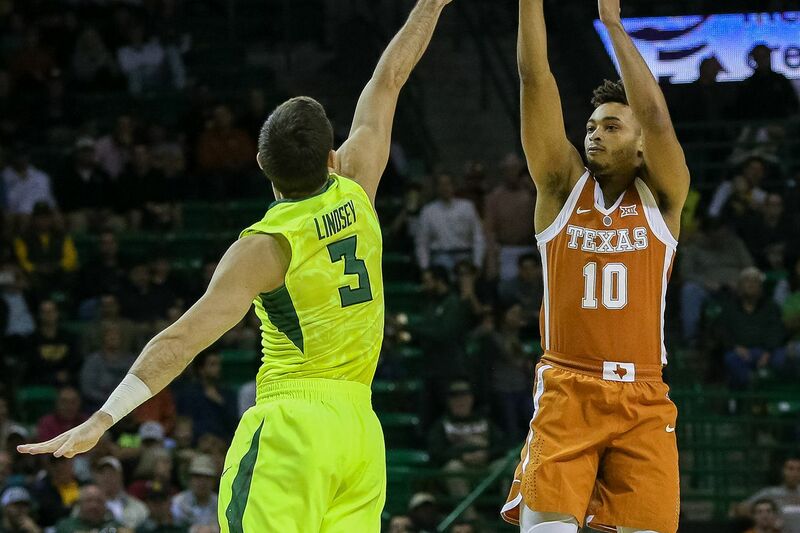 Baylor (11-4, 1-2) overwhelmed Texas (10-5, 1-2) in the second half to earn their first Big 12 victory, 69-60. The Bears taken on the Mountaineers at 6:00 on Tuesday. That one will be in Morgantown, so winning this one was vital. The first half did not go as expected. Texas entered 329th in 3-point percentage. Texas—and specifically Jase Febres—were draining deep shots. Febres had a career high 18 points in the first half. He was 6-of-7. With his incredible performance, the Bears went into halftime down 40-38. The second half went Baylor’s way. Mark Vital opened the second half with the first team, and he was active on defense and found the hoop. He finished with 10 points. Jake Lindsey also had his best game of the season. He drove into the lane and made a big 3-point shot in the first half. Lindsey finished with nine points and three assists. Texas battled back in the second half and made this quite the game. Lual-Acuil was better than Bamba, but Bamba was still good. He was active on defense and made a big triple. The Bears turned it over too often and gave up too many offensive rebounds. But they got to the line plenty and shot much better inside the arc. That was good enough to win. Terry Maston made an awesome play with 2:10 remaining. After Baylor missed a look at the hoop, Texas secured the rebound. Maston literally ripped it from the Longhorns hands and went up for a shot. He drew the foul and drained them both. There are plenty of other shout-outs for the day. Tristan Clark played well and showed an intelligence that highlights how close he is to being special. Jo Lual-Acuil was better than Mo Bamba—an almost certain top 10 pick in the 2018 NBA Draft—finishing with 17 points and six rebounds. And Lecomte made a big 3-point look before halftime, then looked like he was back to normal in the second half. This was a good victory for the Bears. There are still some problems they have shooting—some that I think they’ll get past—and their transition defense needs to be a little more attentive. But Texas is a top 35 KenPom. There are few easy days in the Big 12. And most days you find a team does something a little better than you’d expect. Texas made more shots than they should in the first half. Baylor played well enough in the second that it didn’t matter. Facebook Live 11/18: That Punt was a Mistake, and other Takes!